102 Not Out Wednesday (6th Day) Box Office Collection. Steady. 102 Not Out is trending extremely well in weekdays. Film is reporting minimal drop in each weekdays and that augurs well for coming days. Film has registered a nominal drop of around 5-10% on Wednesday from Tuesday. Film is now heading towards a respectable first week. 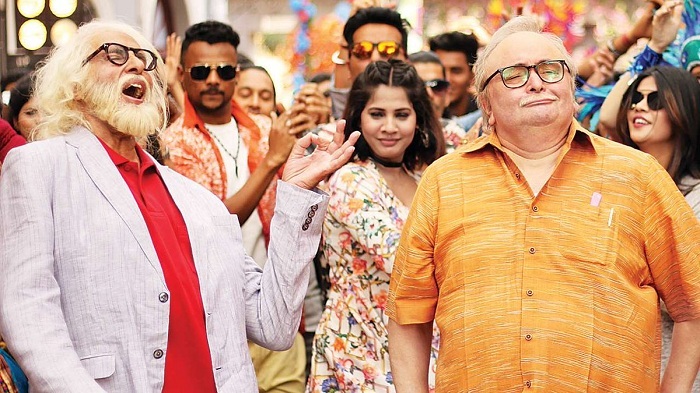 102 Not Out has added an approx 2.65 crore nett on day 6. Film total thus cross 25 crore nett in India. Film first week total is heading towards 27.5 crore nett mark. If film holds well on 2nd Friday then it should emerge as successful. There is a important release coming in Raazi this Friday. Despite that 102 should retain good quality screenings for second week running. Monday -> 3 crore nett. Tuesday -> 2.85 crore nett. Wednesday -> 2.65 crore nett. Total -> 25.1 crore nett (approx).